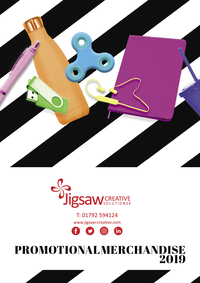 Jigsaw creative have given me fantastic service as well as good quality advice, i will continue using them for all my marketing and would not hesitate in recommending them. Always gives us fantastic results on schedule and comes up with great solutions, definitely a company with good ideas and imagination. Jigsaw have been fantastic, they not only offered us creative advice and designed our business cards, but have been a huge support to our new business, suggesting concepts and people that could help the growth of our new enterprise. Our Business cards were delivered today, within the timescale promised and they look professional and eye catching, with all the detail we need. I couldn’t recommend Jigsaw creative more highly. Inventive, delivers and a pleasure to work with. Jigsaw work extremely well under pressure. They bring creative ideas to the table which are always ‘on brand’ and in-line with business objectives. They have a proven track record of managing projects that are outcome based, timely, relevant, accurate and with an innovative approach at every stage. Their passion for innovating rather than imitating guarentees they produce innovative concepts for clients everytime. I have used Jigsaws expertise on several occasions and they never fail to deliver…in fact they once had only 2 days notice but still took time to talk me through what I wanted to achieve, discussed options on how best to achieve this and then produced the goods to help me do so – in 2 days!!! Professional, personable and full of lots of creative ideas, I would throughly recommend Jigsaw – although for your sake and theirs I would probably recommend allowing more than 2 days for a project! !